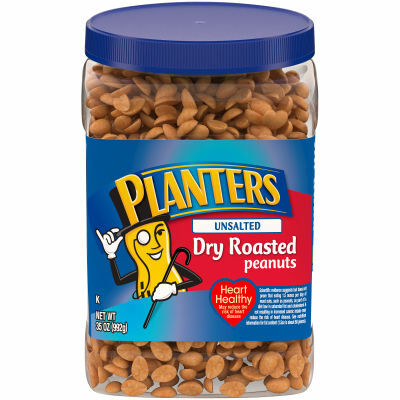 Roasted without oil, these Planters peanuts are unsalted and naturally crunchy. Enjoy a refreshing snack of peanuts without the use of oil and salt. These peanuts are ready to use in your favorite recipes or eaten by the handful for a tasty snack. Available in a large 35 oz. resealable jar, these dry roasted peanuts stay fresh.